Sparkly CLean is a maid service company located in Norwalk, CT. We offer week days and week-ends services, green cleaning. We are insured and bonded. All Cleaning & Maintenance LLC is a house cleaner / cleaning service serving the Danbury, CT area. 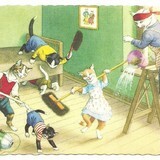 Services include House Cleaning, Maid Service, Deep Cleaning, Move In / Move Out Cleaning and Post Construction Cleaning. 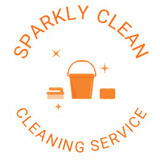 Sparkle & Shine Cleaning Co. Pride Cleaning Pros LLC is a commercial cleaning contractor / janitorial service serving the New Haven, CT area. Services include Commercial Cleaning, Janitorial Services, Office Cleaning, Floor Stripping and Waxing, Move In / Move Out, Deep Cleaning, Porter Services, Retail Cleaning, Commercial Carpet Cleaning, Restaurant Cleaning, Post Construction Cleanup and Apartment Building Cleaning. My Model Maid is Connecticut's Premier Maid and Event Hostess Service, Allowing Clients to Select Models in French Maid, Cheerleader and Wonder Woman Attire. I'm Grazi Mourão and Keep my space clean is an owned company managed and performed by myself. Our goal is to offer people welfare by the work we do - Cleaning and organizing spaces, always taking very good care of peoples families and belongings We provide all necessary equipment and materials for your cleaning duties, also laudry, pets, refrigerator,oven and stove cleaned, windows. We are available as your best convinience. Call me now for an appoitment! Our team is very careful, responsible and trustful. ********************************************************************* Our services are: ** HOUSE CLEANING ** HOUSEKEEPER - Recurring and Deep Cleaning - Move-In and Move-out - Pre-party - Post-party - Post Construction - Cleaning for open house - Pets sitters ** HOME ORGANIZATION - Residential Organizing and Decluttering - Do you have a closet you need to organize? We can Help! - How is the attic? The basement? A mess? I handle it! Marcy's Cleaning Services LLC is a house cleaner / cleaning service serving the Danbury, CT area. Services include House Cleaning, Office Cleaning, Move In / Move Out Cleaning, Post Construction Cleaning, Deep Cleaning and Maid Service. allieddraincleaning@hotmail.com Allied Drain Cleaning have been providing affordable drain cleaning services in East Hartford since 2004. Priding themselves on affordable sewer and drain cleaning, Allied Drains offer everything from preventative maintenance to sewer camera services, sump pump installation and more. Allied Drains serve clients across the greater Hartford area and the rest of Connecticut. Whether you have a blocked drain, sewer or think you might have a problem, Allied Drain Cleaning have the experience you need. Call for a free estimation today! Quality Eco Cleaning is a janitorial services company out of Westfield MA, servicing the Western Mass area. Specializing in commercial office cleaning and maid services. Fully Licensed and Insured with highly trained and vetted staff. In order to achieve Quality Eco Cleaning, you need to make sure all those 3 aspects are involved. Quality: Best products and cleaning process we use to eliminate cross contamination and 99.9% of germs/dirt. Eco: Using ECO friendly and biodegradable detergents and cleaning sprays to keep your home and office safe. Cleaning: We don’t just spray and wipe, we soak, scrub and do that again until its clean. Using heavy duty materials while keeping the surface intact. Quality Eco Cleaning has a staff of professionals who are trained to clean and disinfect any type of facility, retail spaces, spas and hospitals spotless. We know how to take good care of your equipment and your reputation. Our pros are licensed to conduct any commercial cleaning. We carry licensing and insurance and have a carefully background checked and vetted staff. Every facility and home are different and that’s why we tailor every cleaning process for your specific needs. Starting from the standard cleaning procedures to more meticulous cleaning steps, our cleaning plan will be complete, affordable and on-schedule. Healthy and thorough cleaning doesn’t have to be expensive. Give us a call and we will show you what true affordability means. What should I expect from a house cleaner in West Hartford, CT? Most professional West Hartford house cleaning services will do the same tasks for a basic residential cleaning job: clearing dust and cobwebs from all surfaces and fixtures; wiping all surfaces, including sinks, tubs, counters mirrors; cleaning tile; vacuuming and mopping. You may want to have different rooms detailed at different times, so ask about doing a rotating schedule if you want them to pay extra attention to each space (like kitchens and bathrooms) every other cleaning. Some house cleaning companies in West Hartford, CT will also offer additional services such as window washing or appliance cleaning, so ask about incorporating them into your deal or doing them as a one time thing if you’re interested. Pick up any clutter (laundry, toys and other gadgets) and put pets in a secure spot so they feel safe and don’t get in the way of the West Hartford house cleaning company. Put out any specific cleaning products or tools you want used, and make sure to lock up any valuables that you don’t want disturbed. Most housekeeping services in West Hartford, CT will enter with a spare key or garage code, but if that isn’t something you’re comfortable with then you should arrange for them to come when you are home to let them in. Typically West Hartford house cleaners expect payment at the time of cleaning, so ensure you have the appropriate form of payment (cash, check or credit card) on hand, plus a little extra for tip if that’s your style and they do a great job. 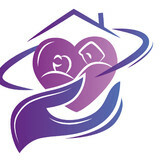 Find West Hartford house cleaning services on Houzz. Narrow your search in the Professionals section of the website to house cleaners in West Hartford, CT and contact local companies to ask questions and get quotes.